If not reduced, the half-billion-dollar overrun might delay future light-rail extensions to Everett, or sink taxpayers deeper in debt. Already, the Lynnwood grand opening has been delayed at least six months into 2024. How did the cost to build light rail from Northgate to Lynnwood increase so much since last year, with little warning? Even by Puget Sound megaproject standards, that is real money. • Increased design and “scope creep,” such as larger stations: $150 million to $190 million. • Higher land costs, due to 44 percent inflation and 190 more parcels needed: $100 million. • New contracting method, to spend money earlier for final engineering: $90 million to $120 million. • Construction market increases, due to high demand:$140 million to $190 million. Left untamed, a half-billion-dollar overrun might delay future extensions to Everett, or sink taxpayers deeper in debt. 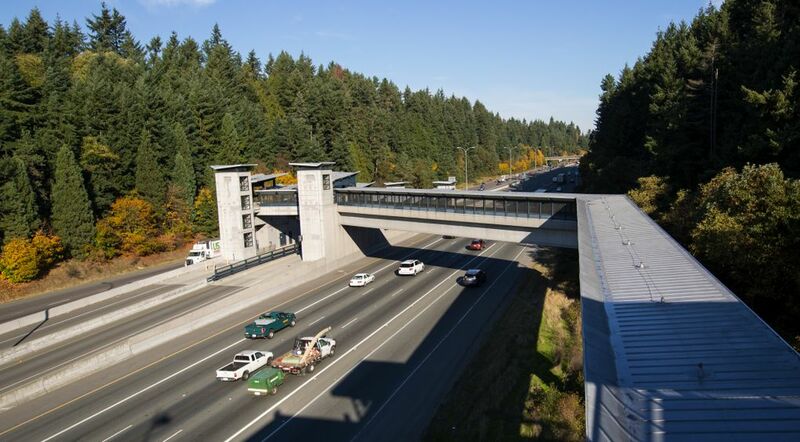 Already, the Lynnwood grand opening has been delayed at least six months into 2024, because of unstable federal funding and Sound Transit’s need to find a more economical design. 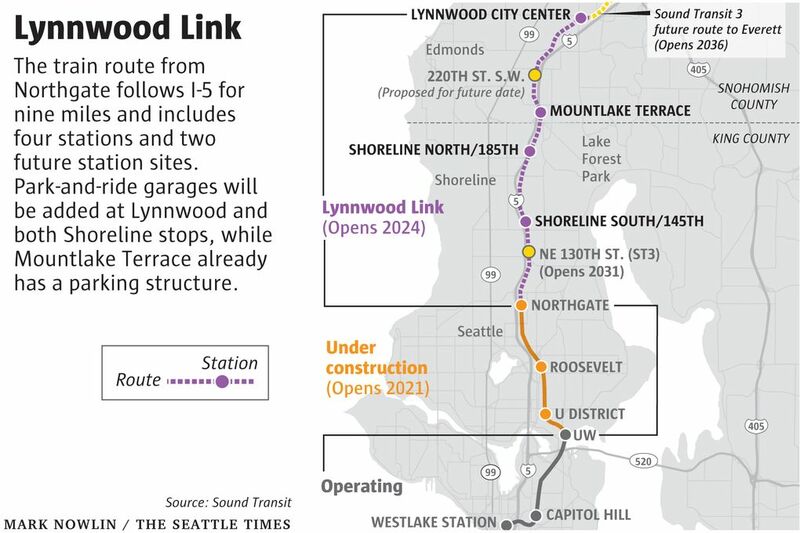 Sound Transit CEO Peter Rogoff raised the official estimate to $2.9 billion in August for the 8½-mile light-rail extension, called Lynnwood Link, up from $2.4 billion. Our region’s hot economy is largely to blame. Property values alone shot up 44 percent since 2014, and construction costs soared. The price of masonry doubled, and escalators quadrupled, the agency says. But there’s another reason: the inflation of desires. During the nine years since voters said yes, cities and transit planners asked for a multitude of features that each might seem reasonable, but taken as a whole help put the original cost projections out of reach. Shoreline wants public event plazas at two stations. Mountlake Terrace seeks temporary parking while a lot near Interstate 5 is blocked by construction equipment. Requirements for noise walls, wetlands protection, and tree plantings have increased since 2008, when the Sound Transit 2 plan passed. Public demand for more bus access translates into more bus-turnaround lanes and places for transit operators to park during breaks. Taxi, for-hire car service, and “kiss-and-ride” drop-offs have proliferated, so more curb space is needed. The transit board this summer awarded $8.5 million to cities to enhance biking, walking and driving to stations. Through 2016, the design team took suggestions, while engineering advanced from partly to mostly designed. Not until this spring did officials recalculate the grand total. There’s more than money at stake. As the project’s footprint grows, more homeowners are being told Sound Transit requires at least a slice of their properties. 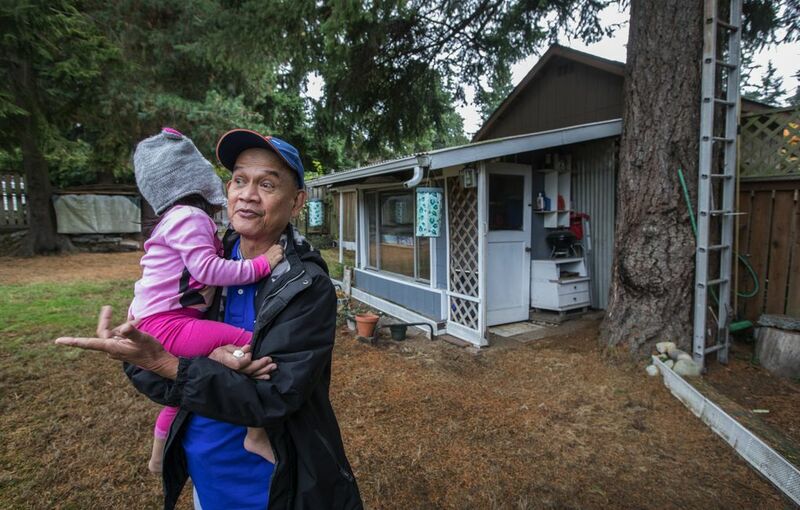 Eva and Luis Abad, who live on Northeast 149th Street in Shoreline, recently learned the agency intends to buy 10 feet of their backyard, to build a station wall. They will lose two mature Douglas fir trees. Since the August shock, city and transit staff have been negotiating which features they can live without. Several ideas first appeared this spring in a transit-agency list of 243 cost-saving guesstimates, theoretically worth $380 million, that officials drafted amid early inklings of the shortfall. Some are considered too extreme, such as canceling one station to save $50 million. Easier trims, like replacing terra-cotta station walls with plain concrete to save $500,000, are more plausible. Between $1 million and $5 million might by saved by removing metal ceilings in station mezzanines; installing round columns instead of fancy tapered ones; shrinking the parking-garage stalls; or building noise walls of prefabricated composite panels, not poured concrete. “We’re looking at lots of low-hanging fruit,” said Sound Transit spokeswoman Kimberly Reason. For now, all the major project features are safe, including the four stations and three new parking garages. Garage costs across the region have doubled this decade, and are estimated at $194 million to build 2,500 stalls total. While the agency will close the budget gap somewhat, executives don’t expect to save the whole half-billion dollars. Sound Transit might need to alter how debt is issued and repaid. Some future projects may have to be rescheduled or trimmed. Transit-board member Paul Roberts, an Everett City Council member, has long worried about affordability, though he says transit managers and consultants are doing good work in a demanding climate. His constituents would lose the most if the Lynnwood corridor is mired in overruns or delays. “A dollar spent that doesn’t need to be spent is one less dollar to get the job done,” he said. Sound Transit originally planned to squeeze a station at the Seattle-Shoreline boundary around the I-5 interchange, near Jackson Park Golf Course. But in August 2016, the agency and Shoreline quietly chose to move it three blocks north, requiring about 10 more houses to be demolished — where a larger site could handle more buses bringing people to the trains. The bigger design accounts for the impact of ST3, passed by voters last fall, that promised bus-rapid transit from Bothell, Kenmore and Lake Forest Park. “We’ll see at least triple, if not quadruple, the number of buses,” said Shoreline Mayor Chris Roberts. This Shoreline South/145th Street Station is one reason the evolving design adds $150 million to $190 million to the overall budget. To the north, a bus will arrive every 30 seconds at peak times at the Lynnwood station, where people are expected to transfer onto trains. Community Transit will end its express routes there instead of continuing into Seattle, and cross-county buses from Edmonds and Mill Creek also will stop there. More changes arose when Shoreline didn’t enact light-rail design principles, for a pending special-use construction permit, until February last year. Shoreline asked that nearby dead-end streets be widened as cul-de-sacs. An acre of Ronald Bog Park in Shoreline will be flooded and replanted, to compensate for trackway through wetlands a mile away. As recently as June 2017, a city letter asked that passenger drop-off areas at both Shoreline stations be improved to double as public gathering spaces during off-peak times. After recent negotiations, Mayor Roberts says some needs can be met more cheaply. For instance, rectangles can be built instead of larger cul-de-sacs at street ends. At the south Shoreline station, a decorative park-and-ride garage screen could shrink, to only the single side facing homeowners. Another $10 million to $15 million in savings might come from moving the Shoreline North/185th Street Station parking garage east of I-5, to be on the same side as the train stop. That would require less land and a smaller footbridge over I-5. Environmental issues are also being renegotiated. Mountlake Terrace is considering more ditches, plants and porous pavement to filter stormwater. That should reduce spending on concrete-lined detention ponds, says City Manager Scott Hugill. Sound Transit discovered this year it might need $32 million more than expected for tree planting, to meet local requirements. An estimated 53,000 new trees would be planted on state land along the freeway, while 4,200 would be removed. Another 13,000 trees would be planted on private or city lands. Noise control has evolved over the years, to a current total $21 million. Sound Transit now promises plastic sound barriers for overhead rails. That should avoid repeating a 2009 fiasco in Tukwila, when trains across the Duwamish River violated federal noise limits until barriers were added. The region’s real-estate boom is hitting Sound Transit, which needs right of way for track columns, stations, garages and equipment storage. Property appraisals have increased 44 percent since 2014, compared with a predicted 25 percent. “The number of properties when we were in preliminary engineering was like 190-some properties, and now it’s like 380 properties,” Kempkes said. Where the tracks go alongside I-5, the project must still reimburse the state for air and land rights. 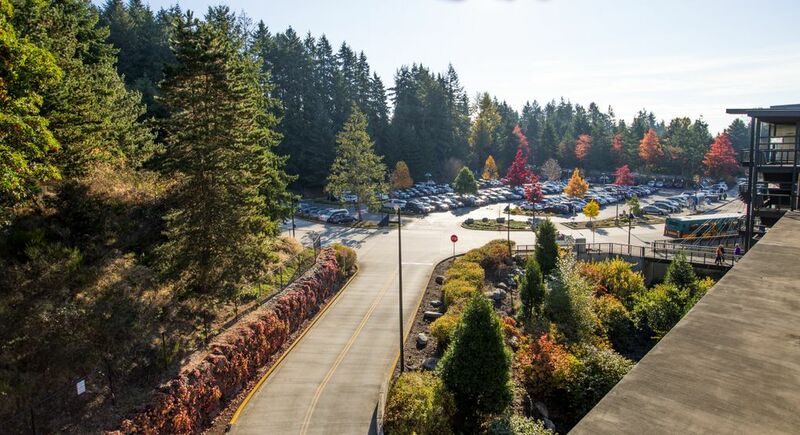 Lynnwood Link’s property budget soared by $101 million, to a total $236 million. The need for more land surprised a half-dozen homeowners along Northeast 149th Street in Shoreline, who in September received vaguely worded letters saying Sound Transit requires right of way for the south Shoreline station. Eva Abad, the Shoreline property owner, told the Sound Transit board this summer about fears her longtime home would be taken. Abad learned afterward her house, where three generations live, will be spared. Since then, Rogoff promised clearer letters with property maps, along with personal meetings, to reassure residents. Homeowners might move anyway as apartments replace single-family houses next to stations. Abad’s neighbor says she was offered $1.2 million, triple the assessed value, by developers. 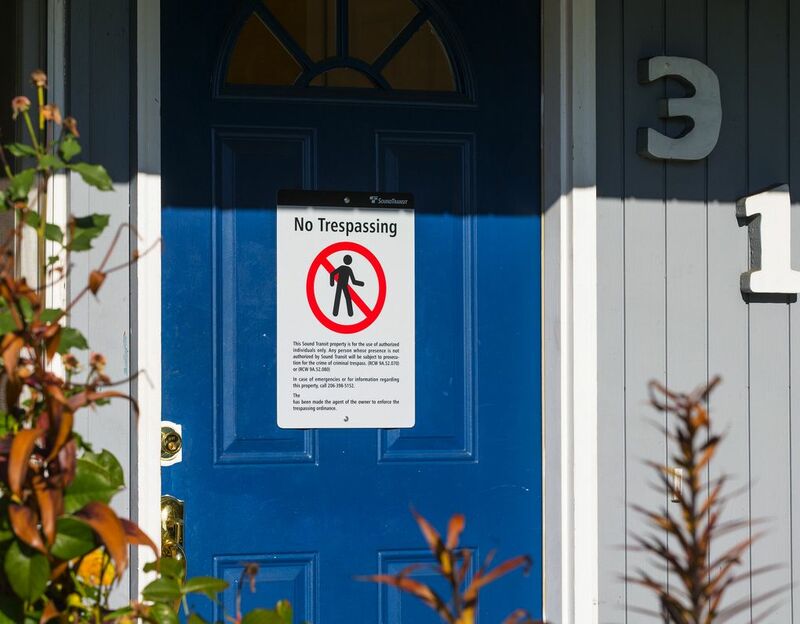 More condemnation letters were mailed in October for 20 property easements or takings, most near the north Shoreline station. The Puget Sound construction boom has reduced the pool of qualified bidders, causing a potential $140 million to $190 million increase. “Few contractors are willing to bid complex projects, and our prime contractors are more and more experiencing subcontractor supply shortages,” said Sonja Forster, district manager for Associated General Contractors. For perspective, in 2011 the winning bid for last year’s UW Station was $141 million. Sound Transit asked builder Hoffman Construction what it might cost now. The answer was $248 million. “Part of the problem is, Sound Transit’s competing against itself,” said board member Kent Keel of University Place. 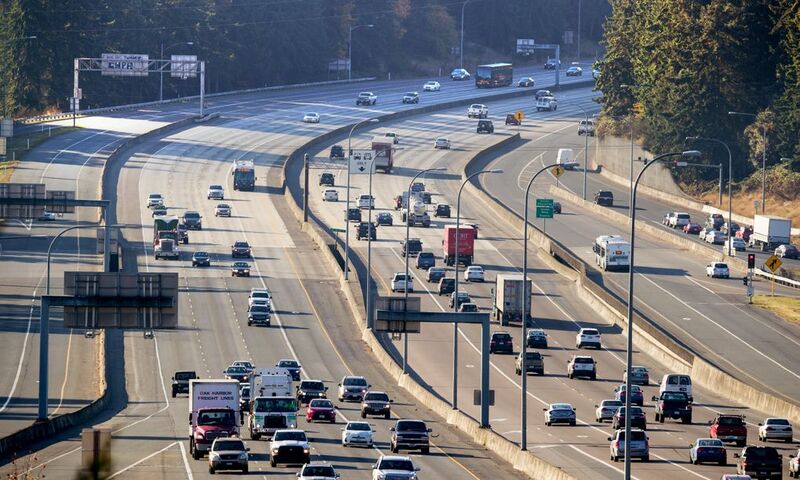 A new Washington State Department of Transportation analysis illustrates the problem. Transportation projects worth $32 billion are scheduled to begin locally in 2018-22, mostly Sound Transit. An average 4.9 firms bid each highway job in 2011, shrinking to 2.5 bidders in mid-2017. Bid prices soared from 9 percent below state estimates last year, to 10 percent above this year. Labor costs are up. Widespread use of compressed building schedules has boosted overtime pay, while plumbers and pipe fitters won a 26 percent increase in a six-year union pact, Forster said. Meanwhile, transit leaders will spend an extra $90 million to $120 million trying an alternative contracting method. Instead of awarding construction contracts to the low bidders, Sound Transit will sign deals with the same teams that do the final engineering — so they bring more expertise. The agency wagers that spending more now will reduce the risk of multimillion-dollar cost overruns later. Transit-board member Dave Earling, mayor of Edmonds, says he’s confident the agency can deliver all the stations and service, while staying solvent enough to reach Everett by the 2036 goal in the ST3 campaign. But the history of Sound Transit includes some drastic measures — opening a tunnel from downtown to the University of Washington a decade late; canceling the First Hill station; delaying Bellevue construction two years to hammer out alignment disputes. “There may have to be hard decisions that the board has to make, but I hope that’s not the case,” Earling said. Next year, planning begins for the trickier $6 billion corridor through Ballard, Uptown, downtown and West Seattle.